Disclosure of free cash flow is not a GAAP requirement. In addition, free cash flow is not defined by GAAP and is referred to officially as a “non-GAAP measure”. Firms that disclose it must reconcile the measure to the closest GAAP-defined amount, typically operating cash flow. The non-GAAP nature of free cash flow notwithstanding, however, as the measure has gained in notoriety, increasing numbers of companies have opted to calculate and disclose it. As they have, disagreements over the definition of free cash flow have become apparent. Through this post I will discuss some free cash flow disclosures using variate definitions used by company who reported their 10-K to the SEC. In a survey of reporting practices for free cash flow, the more widely used definition of free cash flow observed in practice was the definition of free cash flow advocated here For firms without preferred equity outstanding, it is calculated as operating cash flow minus capital expenditures. Although operating cash flow minus capital expenditures was the more common definition of free cash flow noted in practice, some companies used slight variations on that definition. For example, in addition to capital expenditures, some firms subtracted dividends on common stock from operating cash flow in computing free cash flow. Other firms began with operating cash flow and subtracted investing cash flow instead of capital expenditures. A closer look at these alternative definitions is provided next. I found it interesting that some firms subtracted dividends paid on common stock in computing free cash flow. Free cash flow available to common shareholders should be cash that can be paid out to common shareholders, whether in the form of stock repurchases or dividends, without affecting the company’s ongoing operations or its ability to continue generating more cash flow. In fact, increases in free cash flow can be viewed as evidence of a firm’s ability to increase its common stock dividend. By subtracting dividends already paid on common stock in their computation of free cash flow, the companies actually understate their ability to generate cash flow available for common shareholders. In an interesting twist on the definition of free cash flow, some firms in our survey defined free cash flow as operating cash flow minus investing cash flow. Investing cash flow includes capital expenditures. However, it also includes other cash flow that is not necessarily needed in maintaining or growing a firm’s productive infrastructure. For example, investing cash flow includes cash paid for acquisitions of other companies or cash received from their disposition. 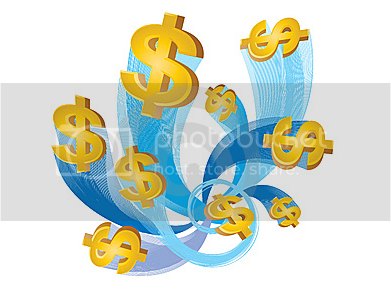 Investing activities also include cash flow associated with the purchase or sale of investments. Thus, the expansion of the definition of free cash flow to include the effects of investing activities appears to cloud the measure and render it less useful. In addition to net capital expenditures of $1,222 million, $1,050 million, and $900 million in the years ended May 31, 2001, 2002 and 2003, respectively, other sources and uses of cash were reported among the items classified as investing cash flow. For example, in 2001, the company reported $237 million in proceeds from a sale and leaseback transaction in the investing section. Also, the company reported that it invested $14 million in a business acquisition during 2002. Finally, a classification titled “other, net” resulted in an investing use of cash of $5 million in 2001 and a source of cash of $13 million in 2002. The inclusion of any of these items in the computation of free cash flow is questionable. Earlier, I indicated that free cash flow defined as net income adjusted for noncash expenses and changes in operating-related working capital, minus capital expenditures, was an amount to defining free cash flow as operating cash flow minus capital expenditures. However, what is unique about the earnings-based definitions of free cash flow found in the sections that follow is that the companies using them did not make adjustments to remove changes in operating working capital. Thus, their so-called free cash flow is not actually comprised of cash at all. Some companies that used an earnings-based definition of free cash flow based it on EBITDA. Others began their calculation of free cash flow with net income. Others started with operating income. I find defining free cash flow using EBITDA to be troublesome. Because it does not include changes in operating working capital, EBITDA is not cash flow. For example, EBITDA may grow with increases in such working capital accounts as accounts receivable and inventory. But these asset increases do not provide cash. Even more problematic, however, is the fact that some companies did not subtract interest or taxes in their computation of free cash flow. Earnings before interest and taxes are not earnings that are available for common shareholders. That is, interest and taxes must be deducted before earnings are available for shareholders. EBITDA after capital expenditures is more appropriately considered to be an earnings-related figure that is available for debt holders for the payment of interest. However, the two companies in question did not make that distinction. By starting with EBITDA, the company’s definition of free cash flow suffers from the same shortcomings of EBITDA just mentioned. At least interest paid was subtracted. Moreover, because the company has been losing money for several years, it has tantamount to defining free cash flow as operating cash flow minus capital expenditures. However, what is unique about the earnings-based definitions of free cash flow found in the sections that follow is that the companies using them did not make adjustments to remove changes in operating working capital. Thus, their so-called free cash flow is not actually comprised of cash at all. Unlike EBITDA, net income is computed after interest and taxes. As a result, net income is a measure of earnings that is available for common shareholders.